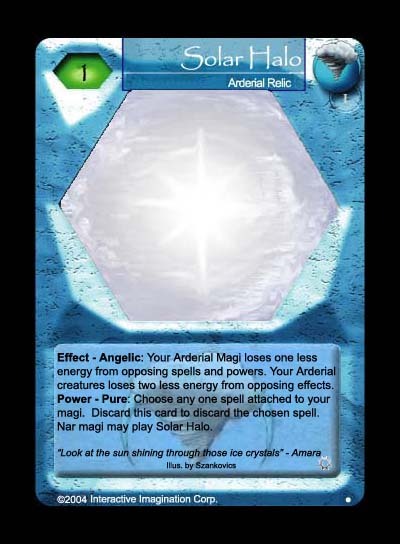 Solar Halo is another Solar card in the set, specially created for Relaura, but other Arderial magi are welcome to use it. This relic removes attached spells, not that there are too many at this point in time, but there might be more in future. The first effect is one that would cause it to see more play, adding to the effect provided by the Arderian Guard-wings. The art is by Nick Szankovics.